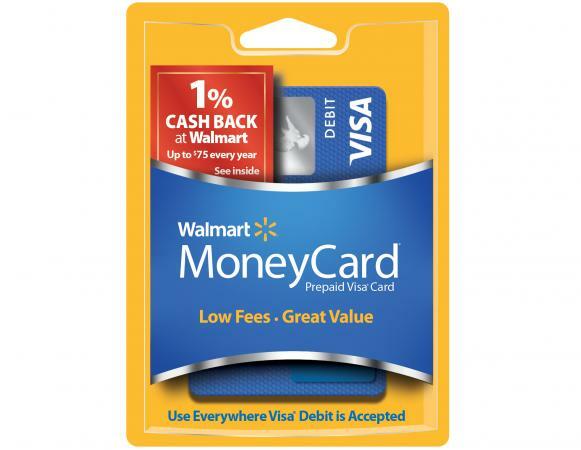 The Walmart MoneyCard is prepaid debit card offered by the retail giant at their local stores and online. This card is available nationwide and can be used anywhere Visa or MasterCard cards are accepted, depending on the brand of reloadable card you choose. The Walmart MoneyCard is embossed with the customer's name and features either the Visa or MasterCard logo. It card can be used any place Visa or MasterCard are accepted, including point-of-sale, online and reservation transactions. Although it looks very similar to a credit card, there is no credit account associated with the card. Instead, the available balance is the amount of money loaded onto the card by the cardholder minus any fees. It cannot be used to purchase items on credit and should not be confused with the credit card offered through this merchant. Once the balance on this Walmart prepaid card is exhausted, no more purchases can be made unless the balance is replenished by the cardholder. You can download the Walmart MoneyCard app to track your money 24/7. Up to $75 in cash back rewards can be earned per year. A unique feature of this card is that it can be used to automate certain bill payments. Utilities, rent payments and other recurring obligations can be paid through this card automatically. Reloading fee of $3 for cash and Walmart MoneyCenter Express loads. Cardholders can minimize fees by conducting transactions at Walmart locations. In-Store: Acquire unactivated cards at any Walmart location. You can add funds in-store and have rapid account access. The card you receive initially will not have your name on it. Your personalized card will be sent in the mail. Online: Order a prepaid Walmart card online. Your card will arrive in 7 to 10 business days. Add funds electronically from your bank account when you request the card, or wait for the card to arrive and load your card in-store, or electronically by transferring funds from another bank account. Once you have a MoneyCard, there are several ways you can add funds to it. Fees may apply each time you do so. You can add cash to your card at any Walmart register for a $3 reload fee. Reload any amount from $20 to $1,000, as long as you don't exceed the card limit. You can also use this cash reload feature at select other retailers. Visit the MoneyCenter Express machine located inside select Walmart locations to add cash to your card. A $3 reload fee applies. If you cash your payroll or government check at Walmart, you can put all or part of the funds on your MoneyCard. Adding to the balance with part of a cashed check will not incur the usual reloading fee, though there is a small check cashing fee. Customers can also deposit checks into the card account using their smartphone camera. Sign up to have your paycheck directly deposited to your Walmart Prepaid card. You can also have your tax refund direct deposited on the card if you e-file. There is no charge to add funds to your card using this method. Walmart occasionally offers promotions that give you a one-time cash bonus for signing up. Transfer funds to your Walmart Prepaid card from an existing bank or credit union account with no fee from Walmart. These transactions must be completed through an electronic funds transfer through your bank's website, and your bank may charge for the service. MoneyPak by Green Dot is another prepaid money card, but you can add funds to your Walmart Prepaid card with funds from MoneyPak if you also have the MoneyPak prepaid card. There are varying fees associated with this type of transaction. This card is designed to be a convenient product for customers who do not have bank accounts at traditional financial institutions. With this card, there is no need for a bank account to conduct simple transactions using a debit card. No credit check required for this card because no credit is extended.